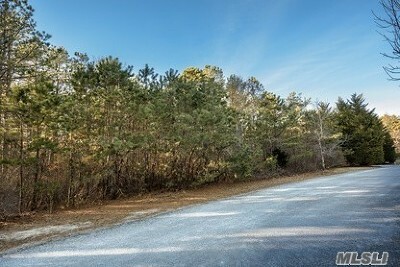 East Quogue - Prime Southampton Pines 1.4 Acre Wooded Land Parcel Located At The End Of A Cul-De-Sac, Potential For 2nd Floor Ocean Views. Wonderful Land Opportunity Along With Excellent Topography To Maximize Building Envelope. Priced To Sell.